600 MHz Bruker H/C/N 4mm BioSolids MAS probe, top speed 14 kHz, variable temp from -10 to 70 °C. 600 MHz Bruker H/F/X 4mm MAS probe. X=31P to 107Ag. 600 MHz Bruker H/X/Y 4mm MAS probe. X/Y combination of 31P to 107Ag. 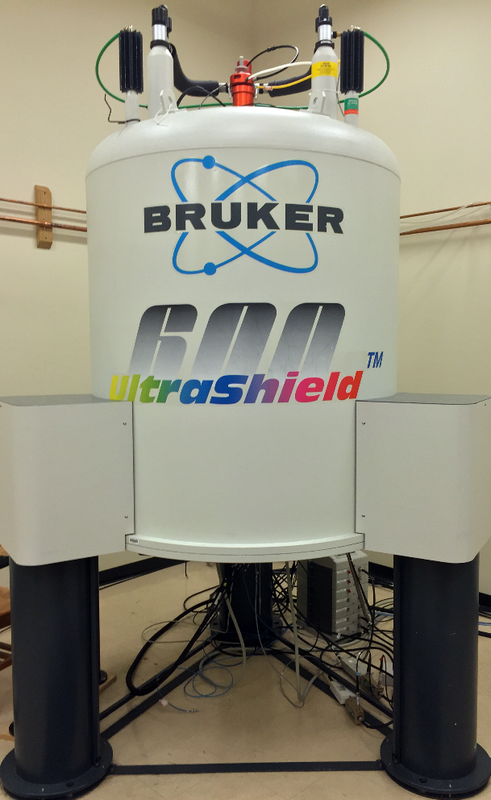 600 MHz Bruker H/C 4mm HR-MAS probe with Z gradient.